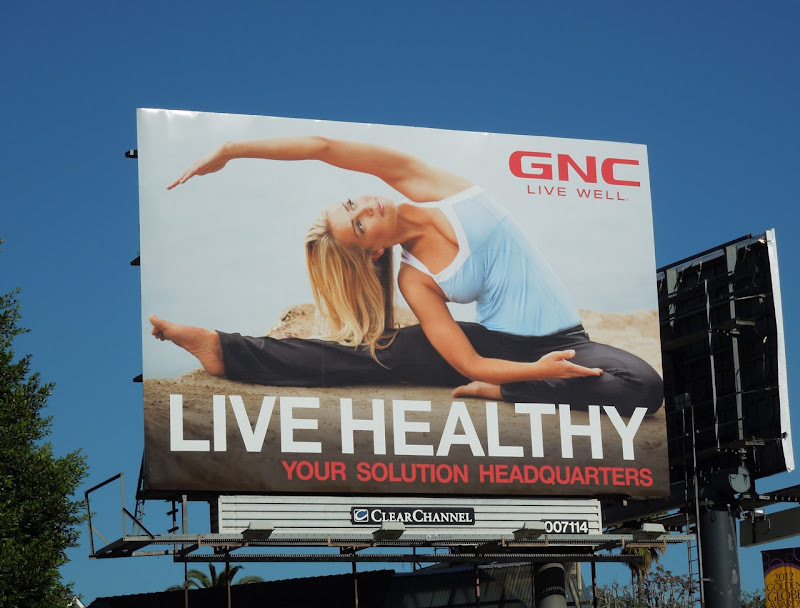 TRIO DAY: Dr. Seuss' The Lorax movie billboards..
GNC are back to ensure a healthy start to the New Year with a refreshed ad campaign. 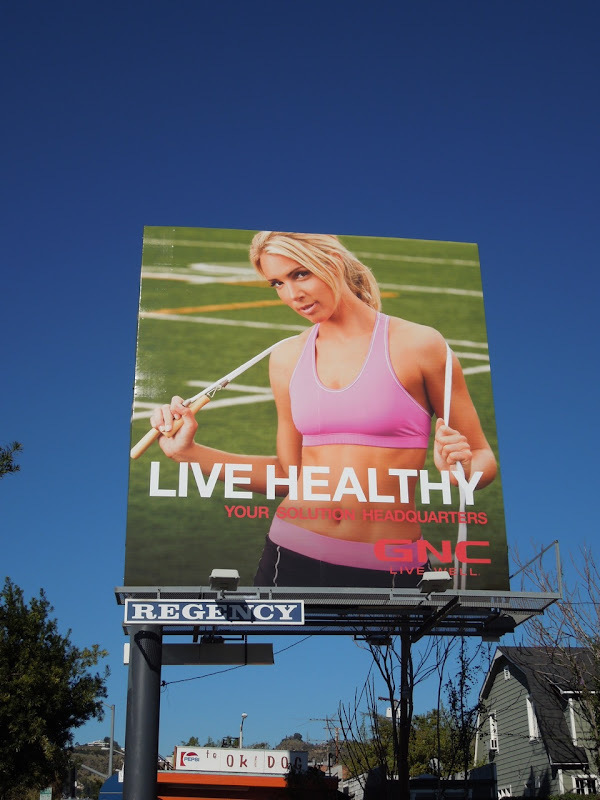 These new billboards are more overtly sporty, with gym gear, people stretching, sweating and holding skipping ropes, plus this time they come in colour too. 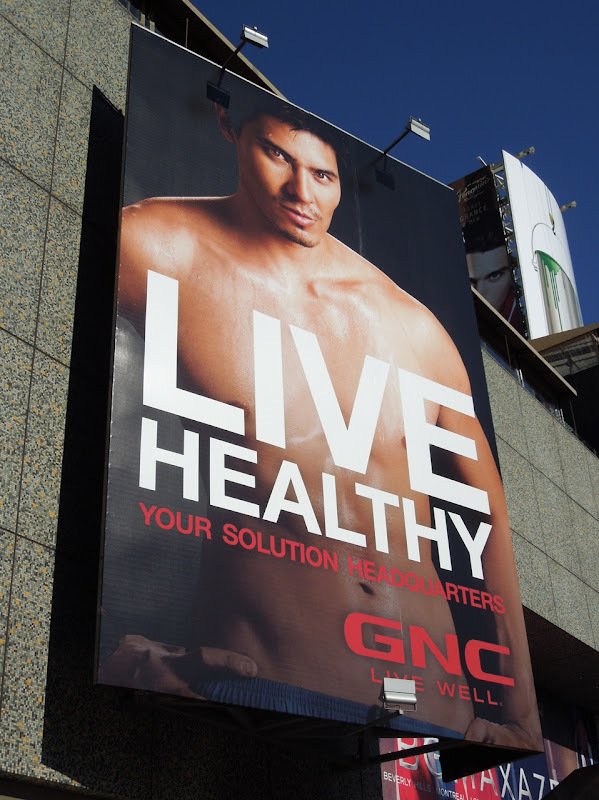 The billboards still feature fit, young male and female models and all share the 'Live Healthy' slogan, presumably for the diet conscious in the New Year, with the addition of the 'Your Solution Headquarters' tagline. 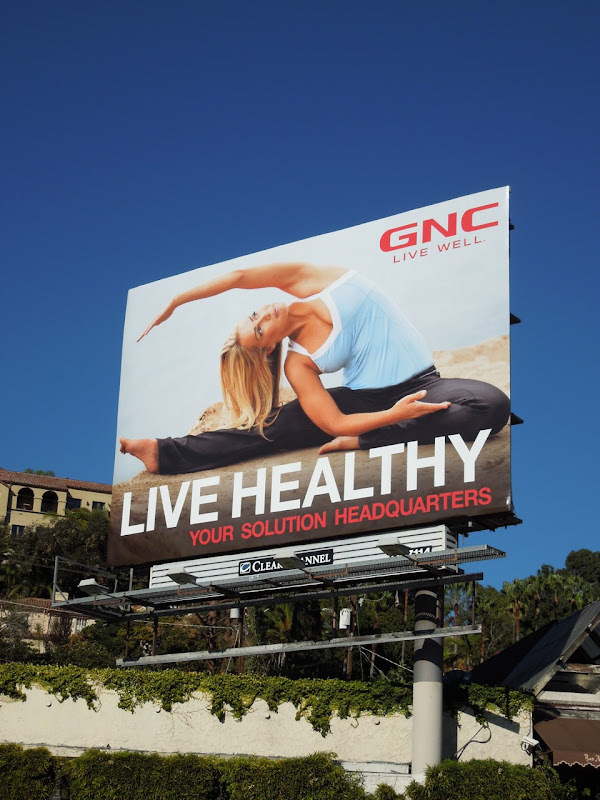 It's a great campaign as there's not a vitamin or supplement bottle in sight, or an explicit mention of the General Nutrition Center, and yet you still get the health message loud and clear. 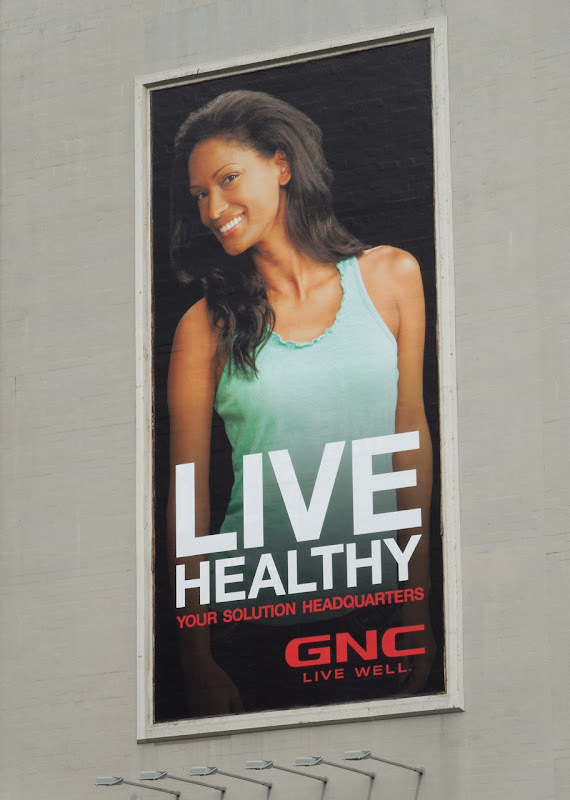 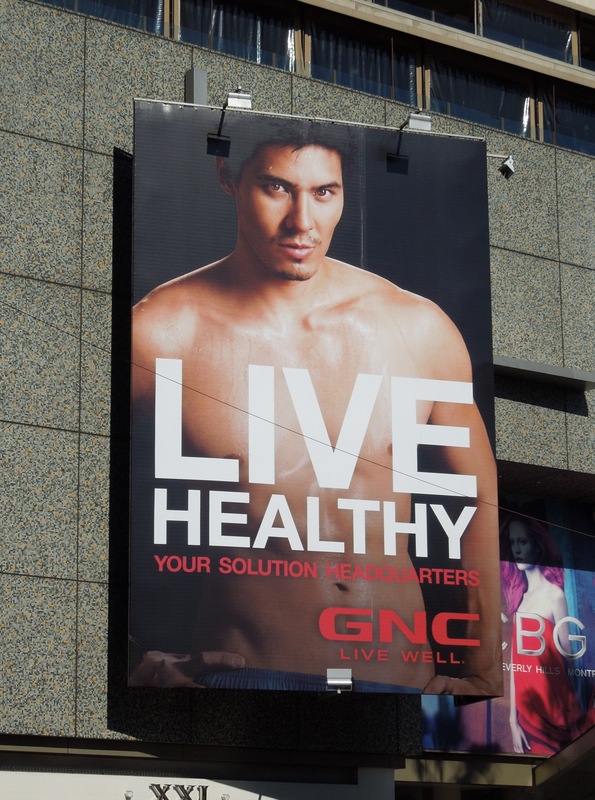 If you like these ads, take a look at GNC's Live Well campaign in mono from 2011. 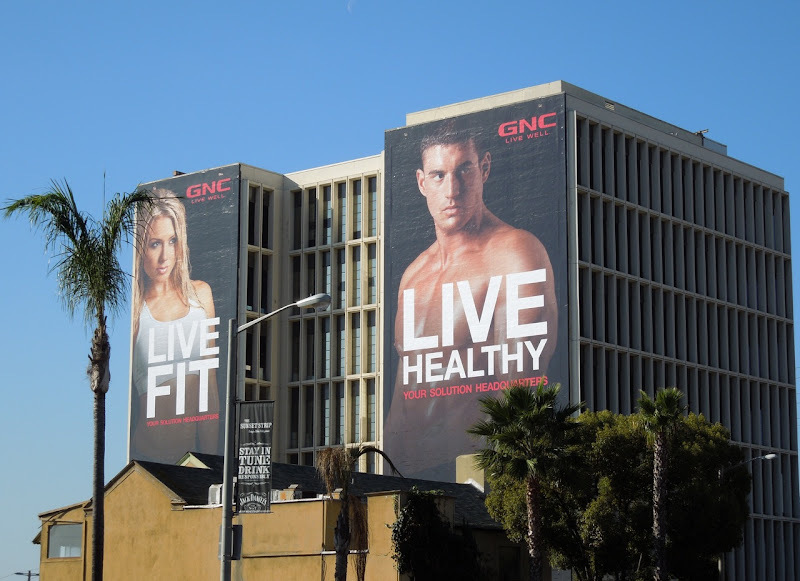 The giant double Live Fit Live Healthy billboards were snapped along Sunset Boulevard at the top of La Cienega Boulevard, whilst the other vibrant creatives were photographed at The Beverly Center, along Hollywood Boulevard and Fairfax Avenue at the beginning of January 2012. 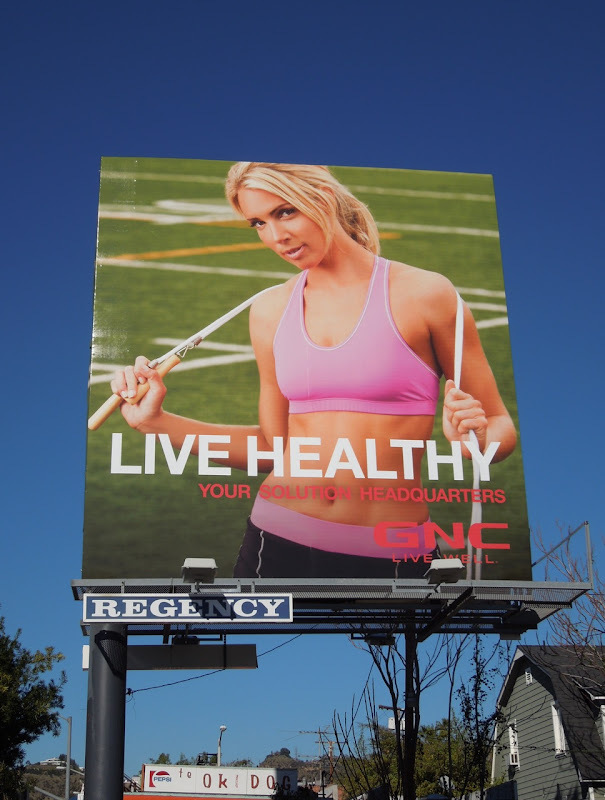 Be sure to stay tuned, as Daily Billboard predicts there will be more creative executions in this ad campaign as this year progresses. 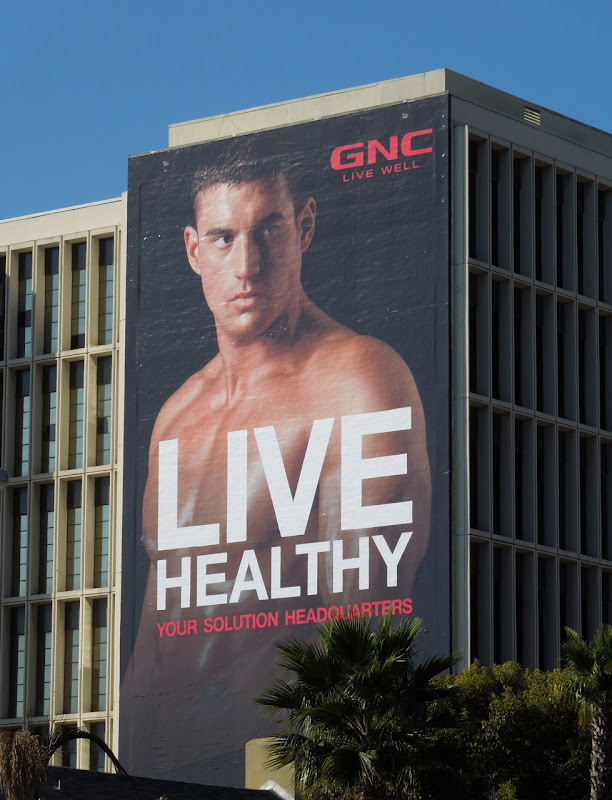 UPDATED: This oiled up hot male model billboard for GNC's new campaign stood out from afar along Ventura Boulevard in Studio City on March 7, 2012. 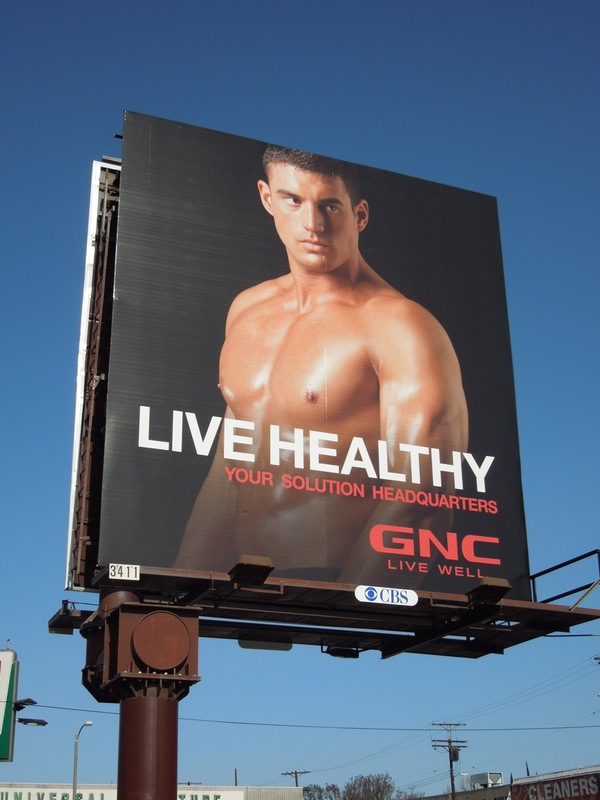 A little titillation is certainly one way to get people motivated to be healthier. 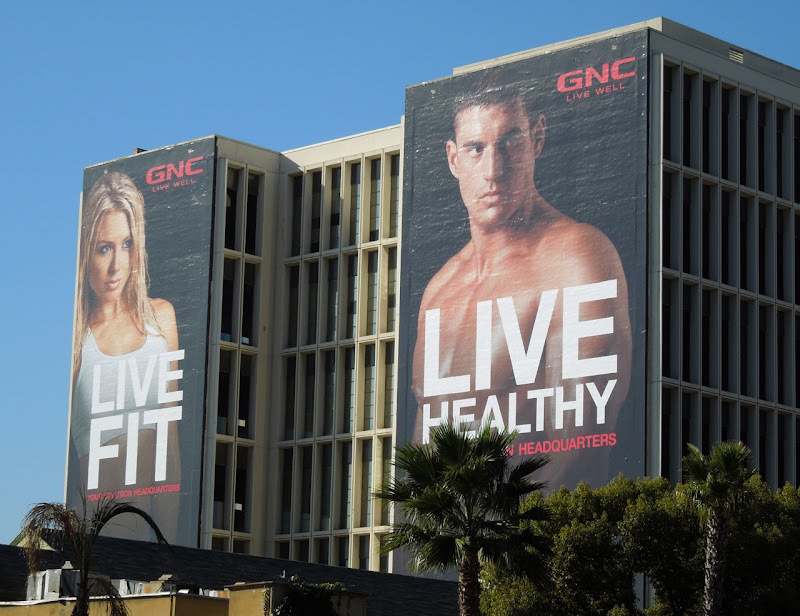 What's the name of the blonde woman?